Welcome to Bug Me Exterminating. 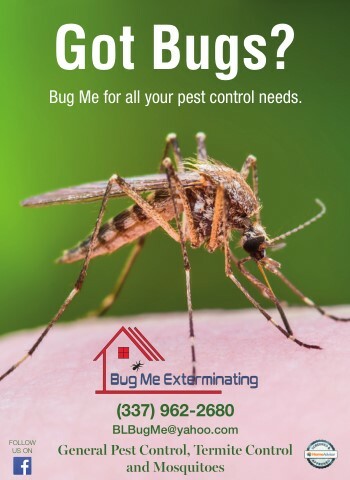 We are the locally owned premier professional pest control company in Youngsville with 20 plus years of industry experience. 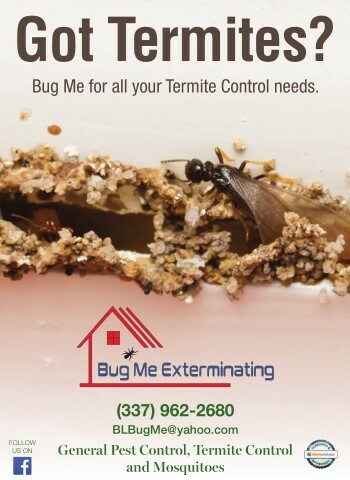 We service the Acadiana area and offer the highest quality and most attentive customer service. We are known to pay exquisite attention to detail while making customer satisfaction our top priority. On every visit to your home or business our goal is to provide a professional service to ensure your satisfaction. Customer satisfaction is our top priority. 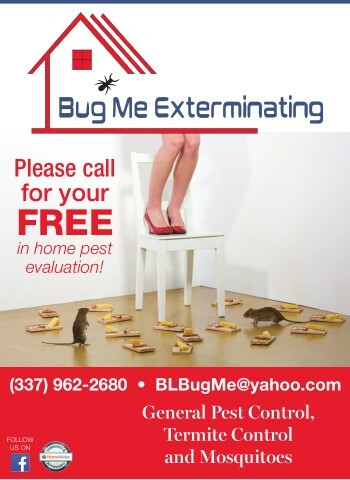 Call Today for your FREE in home pest evaluation.